We will be holding our normal service by kind invitation at St Agatha's church, Exeter Rd. Dawlish at 10.30am. We personally use this Daily Bible Study. It is an excellent all-rounder. Please click www.wordlive.org to see a new Bible Study every day. Don't forget you have a major faith resources section on this site. 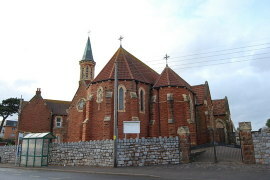 You can use it to find materials or to contact churches in Dawlish Christian Fellowship or around Dawlish. You can find church services on holiday by changing the site postcode.